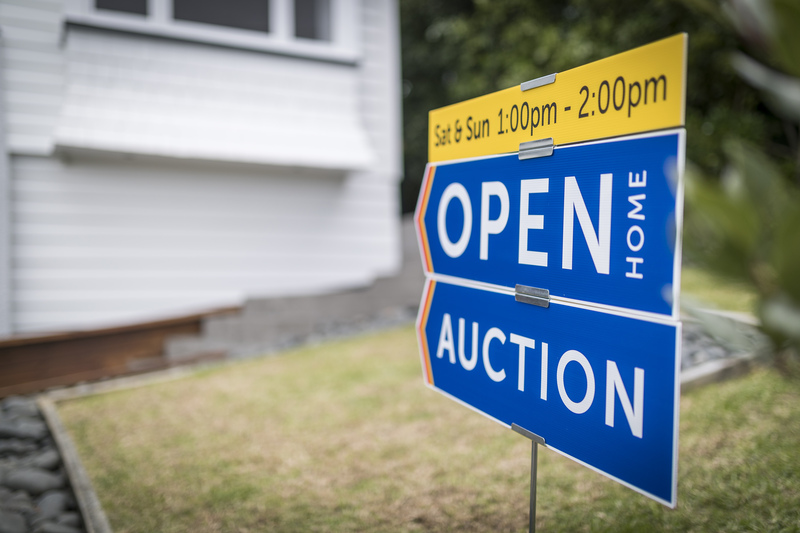 The auction sales rate at Auckland's largest real estate agency has remained remarkably steady throughout the peak March selling season at 28-29%. Barfoot & Thompson marketed 187 residential properties for sale by auction in the week from 4-10 March and sold 53 of them, giving an overall clearance rate of 28%. In the following week (11-17 Match) 161 properties were marketed for auction and sales achieved on 46, giving a clearance rate of 29% and in the latest week from 18-24 March 174 properties were marketed for auction and sales achieved on 52, leaving the clearance rate unchanged at 29%. Those sales rates will likely increase significantly over the next few weeks as the unsold properties are marketed sale by negotiation, which will open them up for offers from conditional buyers. At the big Manukau auction the sales clearance rate was 22% and on the North Shore it was 26% (see table below). Details of the individual properties offered and their results are available on our Residential Auction Results page. Peak selling season and sub 30% clearance rates.. but don't worry, TakingTheP*** will be along shortly to tell us how strong the market is. ...as anticipated by those with their eyes open, majority sold well below 2017 CV too. Not what I saw.. they were all over the place. One lot (two properties in Remuera) went 30% above their combined RVs, others went 20% below RV. Quick Check shows of the ones I could match up, excluding the pukekohe/rural and commercial listings, selling price was 98.6% of CV overall. One Mt Eden property going for 39% above CV, two adjoining properties in Greenlane going for 73% of their combined CV. I've either attended or watched (via Gavl) 25-30 Auckland auctions in the past couple of months. If anything has sold above CV it has only scraped above CV - unless there has been a material renovation recently. In those situations I'd have significant reservations about whether costs are being recuperated on sale. Most successful auctions are well below CV - a lot of vendors are even explicitly stating that CV should be disregarded in their advertisements. Other vendors that are obviously anchored to CV either get no bids or, from what I've seen, their properties sit on the market for ages with an outlandish asking price before either quietly being withdrawn or ultimately slashing the price. The graph/post above shows the data, as best as I could match it up. No spin, just data. Auckland still going mostly sideways in price terms as best I can tell. But stock levels still rising, so something has to give somewhere. Yep that's what happens, prices stagnate, property unsold stock builds up, prices slip (Where we currently are), followed by negative equity, banks start to worry and drop their mortgage rates and if they don't do it quickly enough, then the market will crash. Remember -20% off market height is technically a crash. Though I'm more worried about what's happening with the Australian housing market and how it will impact their banks? Time for little old NZ to hurry up with that savings deposit protection scheme. Article; The Mandarin - Housing policy reset is overdue, and not only in Australia. Yeah, and as I said - the only ones I've seen go for above CV have had recent material renovations, in which case you would expect them to sell in excess of CV. Your graph doesn't show that information - which is the fundamental limitation of just looking at price in isolation on assets that are not commodities. - Prop E sold - price unknown. Listing explicitly said "Motivated vendor says ignore CV"
- Prop G passed in - extensively renovated ex-state house, CCC only obtained in late 2018. "Priced to Sell". Asking for $280k above CV (can't see how reno would have been less than that). Asking price has dropped $30k since end of Feb.
- Prop H sold - sold at auction in late Feb for 2% less than CV. Tidy old house, nothing special. So one out of nine sold for double-digits above CV and it had been renovated extensively. A LOT of material discounts to CV at the moment. And this is just Mt Eden. This was a totally random sample of properties in Mt Eden that I liked or thought had potential at the time of listing. I haven't excluded anything. I've been following ~100 properties around Auckland since December. Well said cmat! Pragmatist, from your graph, 12 sold above, 19 sold below. The majority sold below. "The majority sold well below their 2017 CV"
Latest CoreLogic update is 96.5% of 2017 CV as at 24/3/19. up 1% form last month? Can’t recall. I posted it in a thread here. I think it’s either the same or slightly up on the previous week. Here's some slant for ya Crazy Horse.. Lucky you have 4 hooves, cos its a steep downhill slant, us two-leggers could take a nasty fall. Asking price now $1.59m, $610k (28%) under CV, . In the slums of Mission Bay. Headline - Can be soft or hard, depending what one wants to potray. No Sign of Market Pick up in Barfoot & Thompson's auction sales rate. Sorry for accidentally "stealing" your user name HouseHunter. Let me wish you happy hunting though! With the way things are heading, perhaps a little early to pull the trigger don't you think? Lol, no worries mate. I'm happy to watch the market decline for now. None out of 3 at Mortgagee Sales. That has gotta be unusual. I was watching one of those and it was listed with a price afterwards, set at the price the owner paid in 2015. I am thinking the owners equity may be totally gone on this one. Time will tell. One was postponed to this week I think. And its a leaky rotbox if its the one I am thinking of. Someone will buy it for land value (discounted for demolition costs). I wouldn't read too much into the mortgagee results. It's very common for properties not to sell at mortgagee auctions, but the most common reason is that the bank and property owner have cut a last minute deal and the property is pulled off the market just before the auction. Only a small % of residential properties are listed by auction in Auckland. People seem to think that a 30% clearance rate means that only 30% of properties are selling across the board. Yeah, nah. Nobody thinks that. 17% across the board are auctions if I recall correctly. Currently about 10% of listings for sale on trademe.co.nz in Auckland at being offered for sale by auction. Lets all make up the numbers.according to Corelogic..Funny. Right, sorry I was meaning 17% for all agencies in Auckland. I think that was from CoreLogic. REINZ says 11% by auction in Feb 2019 nationally. That is a far more telling statistic than most of the other %CV and other stats that have been bandied about lately. Auctions are how people sell in a hot market. Auctions are almost worthless in a declining market unless you have an extremely desirable property. 34 of the first 80 listings on that search (the latest houses, townhouses and units listed in Auckland) are auctions. Thats not a small percentage, its almost half, and if you excluded the new builds in Papakura it would be half. Only 13 of the 80 marketed with a price. Once they fail to sell at auction then they typically go to negotiation or asking price. I think Core Logic has it at 17% of all listings in AK. I know REINZ has it at 11% nationally and 21% in Auckland for February 2019. Has what exactly at 17%? or those that give auction a go during the sales process? or are currently auction listings at any given time? I know from the areas i'm watching, about 80% of new listings are auction or slow-motion auction (tender/deadline sale). And if i look further up my list, about 60% of them are now priced, and 40% negotiation.. but most tried their luck at auction first. I'm not watching sections, lifestyle block or apartments, maybe they have far higher ratios of non-auction sales than existing homes? As I understand, a real estate agent's commission percentage split is more attractive when the property sells at auction. Perhaps a real estate agent can confirm this. And lots more advantages to auctions for agents too. Not the vendors, not the buyers, just the agents. % of total sales in which “auctions were used”. This stat is for sales, not listings at any given time. REINZ has it slightly higher at 21% in AK. This would presumably include sales that were by negotiation directly after the auction. Very much doubt it includes properties that were up for auction at some point, but ended up being sold by fixed price or “by negotiation” listing seperate to the auction. Yep, so percentage that sold while part of an Auction marketing plan. So something like a 35% clearance rate with 60% of sellers giving auctions a go, or 30% & 70% would be consistent with the clearance rates reported on here. No, only 21% of sales in Auckland are by auction. The other 79% are by either fixed price, negotiation, tender etc. As far as your 60% claim above goes, I give precisely 0% weight to your anecdotal evidence based on your own personal house-hunting observations. Should look at days to sell if anything I guess. TTP ...if you call a 29% auction clearance rate "steady/stable" and "nothing new", how would you describe March 2016 auction clearance rates in comparison, if nothing "new" has happened ..... you really do "Take The P***" ! I wrote a joke mocking you painting stability as a positive state despite the depressed nature of that stability. Since that joke referenced states which in the shadow of recent events might offend I’ve self censored. Stable at 29% clearance and a steady number with declines below CV whilst a steady rate of volume of houses on market increasing. Notice how all the economists an commentators were saying how they expect the housing market to plateau providing there is no external factors, Well the global economy is serving up nothing but bad news at the moment and the bond market it staring to point to a recession. Yes agreed, it's not realistic to expect hard working salary people to maintain the vastly over inflated prices pushed up by non resident buyers and money launders. It's obvious from those auction results that sale prices are slipping quite a bit below their 2017 CV value. Reducing mortgage rates will help the more affordable property areas but the central Auckland paper millionaires are in for a big reality check. A similar thing happened in 2008 that hit the rest of the Western World and it took two years for prices to start to slide and at lest five years for them to climb again (Some areas never recovered). here it is from trademe...... the Tron. This is 36% up on 12 months ago. Acres of new builds in the suburbs. Great time for fhb's to WAIT. Spruik that one...and they will. rastus, Hamilton property prices are so overcooked. About to follow Auckland - down. The thing going down is your innuendo. The actual results are going in the opposite direction of the spell you have conjured. ...I don't know the data, but just driving around one can see the stock due to come on. Infills and new suburbs abound. And its not just Hamilton, its the feeder towns as well...many an easy work commute away. Wheres 'Nic Johnson' aka you know who with the latest??? Aside from some FHBer's with decent deposits/incomes, I'd say the only thing really keeping prices fairly fixed are existing home owners buying and selling in the same market. Because most of the time it's just an effective swap of houses, the high prices are largely inconsequential. It's when conditional offers start falling over because they fail to meet conditions such as "on the sale of existing property" that there's a bit of an incentive for prices to start going down. Umm actually the big danger is negative equity. When that starts to catch up with everyone, it could prove to be a very big headache for banks and home owners. Especially for those who bought at the height of the market (2016-17) or are being pushed to buy even now higher than the current CV prices. They're going to really regret paying over the odds when they can't renew their mortgage. Technically banks can't lend you more money than a property is worth. Auctions are where I love to buy property, especially when I have no competition! You can buy very well, and now is as good a time to be buying at Auction If vendors are needing to sell and they are undervalued!! I'd love to now how you determine "undervalued". I'd have thought the current market determined the value of the property, especially in an auction..! Undervalued by not realizing it's full value or potential. The way “The Man 2” seems to portray it, is he’s some sort of house whisperer who has a knack for buying mint condition properties well under market value. Not before the ink is even dry on the S&P agreement, the property is already worth 20% more. He owns most of Chch, don't you know? May be but doesn't seem to venture out that much so not sure how he views the potential properties..
"Those sales rates will likely increase significantly over the next few weeks as the unsold properties are marketed sale by negotiation, which will open them up for offers from conditional buyers". What you forgot, even if the above comment is true, that fresh listings are coming onto the market every week, putting greater and greater pressure on the unsold houses already on the market. Each week two thirds of the auction failures have another two thirds added to them. Prices will fall for the high priced bubble homes first, with the moderately priced homes following a little while later. CV $7M (2017) . Now for sale at $4.75M, a $2.25M drop!! It's interesting that over here in Sydney, they called it catastrophe with mid 50% clearing rates, while in Auckland 29% is considered to be steady and stable! I guess rose tinted glasses come in many levels of shadiness. It pays to ignore the wolves in sheep's clothing. There are one or two of those who post regularly here. Chairman Moa in Sydney ? Nah.. thanks God. Visited Sydney regularly but Brisbane is home!